You're trying to find things for your child to do all summer that are safe, entertaining, and maybe if you're lucky, have some educational value. If you're like most moms and dads, you're trying to hold down a job at the same time. Now, add “Aspergers” (high functioning autism) to the equation and things have just gotten exponentially more complicated. Your Aspergers youngster needs structure and routine during the summer, and you're at a loss to think of activities that can give it to them. You fear a summer full of meltdowns and regression. What can you do? 1. 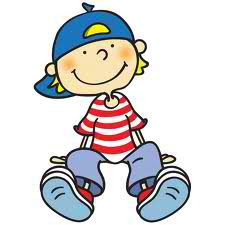 Ask your Aspergers youngster about what he plans or expects to happen when out of school or on vacation. Doing so will help clear up any misconceptions about the things you either agree on or disagree about. 2. Avoid springing things on your Aspergers youngster. It causes confusion and distress. There go those insecurity-control issues again. Prepare him for changes as far in advance as possible. 3. Bring a Discman or MP3 player so he can listen to music on the plane or in the car or a favorite toy – and definitely favorite foods. Try to imagine possible problems that might come up and how you will solve them—and what materials you will need to solve them. Take books, video players or anything else you think will help for distraction during those difficult moments. If you're going on a long car trip, you might want to look up some car games to play, such as trying to spot letters on license plates, 20 questions, or other games one can play in the car to pass the time and keep your youngster occupied. 6. Don't be alarmed if your youngster doesn't want to do much during the summer. But by the same token, do try to plan some regular activities and outings so that they are still engaged with the world. Find areas of interest. If your youngster is interested in movies, see if there is a movie-making class or club that meets nearby; if they are into reading, then find a book club. Most towns have town-sponsored recreation programs that are offered during the summer at low cost, and this can be a great place to start. There is everything from sports to arts and crafts and things in between. Some towns even have programs specifically for special needs children. 7. Don't try to fit your youngster into a mold of what they "should" want, or what you think should be typical for their age; pay attention to what their actual needs and wants are to ensure a more successful vacation. 8. Give your Aspie as much control about “what happens” during his vacation and out-of-school time as possible. Remember, all Aspergers children have control issues. If they feel out of control, they feel threatened. 9. Help your Aspergers adolescent find work. A part-time job is a rewarding way for an adolescent to spend some of his summer. Few things work better in building a sense of maturity, independence, and personal competence. The structure a job affords is a plus for children with Aspergers, and the extra spending money is, of course, an added bonus. While some Aspergers teens are capable of finding a job for themselves, most need guidance and encouragement. Start by defining work goals for your youngster, such as earning money or learning a new skill. Discuss the right types of jobs, based on his skills, organizational ability, and attention capability. Then help him choose where to apply. 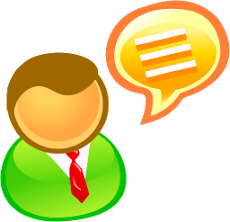 It doesn't hurt to work on interview skills; role-play business owners and managers with him. Your encouragement and support may be just what your adolescent needs to follow through on a job search. 10. If you can, try to choose the least-busy times to do any given activity. Do things early or late in the day when most individuals haven't left yet or have already gone home. 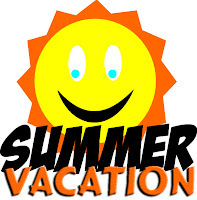 If a summer vacation can wait until fall or be taken in early spring, then by all means do it at those times. If you follow these tips, for any vacation you might consider, your Aspergers youngster will be in a better state of mind to be able to enjoy him or herself, and your chances of a peaceful vacation will increase. 11. If you’re striving for an educational experience, it had better be “fun” and not boring. If not, then try to use personal methods such as search and name games to help make them fun and different. 12. Keep a calendar (but leave some blank spaces). Even during the languorous summer months, Aspergers kids need structure to feel secure and have a sense of what to expect. A simple calendar of events lets your youngster see what's coming. Fill in ahead of time a mix of major summer activities, such as the family vacation or trips to visit relatives, and casual recreational activities, such as a weekend trip to the zoo or museum. You may also want to prearrange and mark down play dates. Of course, summer should still be a time to relax, so try not to over schedule. One planned event a weekend is great, three or four can feel rushed and hectic. Leave room for down time every day, when your youngster can do whatever he wants — even nothing at all. And make time at the end of the day for the family to relax, read, and talk. 13. Loosen the reins, but stay on course. The summer months cry out for flexibility. That being said, you don't want to relinquish basic family rules and routines. It's tempting to let children stay up later in summer, and a bit of that is OK. But remember that even a little sleep deprivation can lead to irritability and meltdowns at any time of year. Try to maintain basic bedtime habits. Stick to scheduled chores, too, as well as other established behaviors. A whole day in front of the TV should remain taboo even during summer months. 14. Maybe you don't have the time or money for a vacation, or you don't want the stress of dealing with one. If you're sticking around the house this summer, don't despair, there are lots of things you can do around the house to keep your little one engaged. 15. Money is not a requirement for fun. Take your youngster to a local pool (but try to go during the off hours when there won't be as many individuals), or hold pool parties in your yard if you have your own pool, and increase your youngster's socialization skills at the same time. Look on your town calendar to see if there are any free concerts in parks, which is often the case. 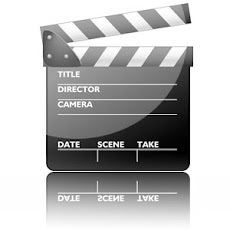 Some towns have outdoor movie nights in parks as well, or a local library might have them. Use the library or a cheap Netflix subscription to rent movies for the family to watch. Also, summer is a great time for festivals; if your youngster can handle the crowds and sensory stimulation, of course. Festivals do not usually cost anything to get into, and provide lots of entertainment and visual stimulation. Another idea is to go to a craft store or a store that recycles old materials and sells them for craft projects, and have an arts and crafts day. 16. One of the hardest parts for Aspergers children in summertime is the change in routine. Even if they don't particularly like school, the routine of the school day (getting up at a certain time, going to classes which are usually in the same order, coming home and doing homework, etc.) is comforting to them. They might be at a loss for what to do with their time when summer comes, and they may feel lost and adrift with no routine to anchor them. This is normal for children with Aspergers. Try to create a loose routine for your Aspergers youngster if you can. Post it on the wall as a visual reminder. Such a schedule could go something like this: "Breakfast, morning activity, lunch, afternoon activity, TV/video game period (if allowed), dinner, pre-bedtime activities. You can create a list of activities that the youngster can choose from and post those as well so that the youngster has some idea of what could or might happen, or you could decide ahead of time and post them for the week. Things like going to the park, going to the library, arts and crafts, some kind of sports if your youngster is interested, baking, reading, whatever you can come up with can be on the list, and you can rotate activities. In some ways, you could make it like a loosely structured, non-academic home school, which might make your youngster feel more comfortable and reduce behavior problems that might stem from anxiety over loss of routine. 17. Play after work. During the school year, you set a regular study time for your Aspergers youngster because it helps him get his work done. In the same way, scheduled playtimes in summer — for children and moms and dads together — will insure fun as well as family bonding. So play catch in the backyard, take a bike ride, or go out for ice cream. These relaxed times provide just the change of pace you and your youngster need to de-stress after nine months of school, or even a day's work. 18. Since most children with Aspergers are visual learners and they have a need to know what is going to happen ahead of time, social stories work well. To make a social story, you simply need to make or find pictures of the places you will be going to do and the things you will be doing and write out a story that illustrates what your daily activities will be like. The story should give the details of the daily routine so that your youngster can plan ahead and have a sense of what to expect. Talk about how you are going to get to your vacation spot, who will be coming with you, and what some of the activities will be. Make sure to think of the details when planning your trip. 19. Some Aspergers children are sensitive to the heat, and will be uncomfortable and irritable during the day when the sun is at its peak. If this is a problem, try to choose events where you can go in the evening, or go out on cloudy days. 20. Some structure during summer vacation is important. But so is unstructured downtime. Most Aspergers kids can be amazingly creative in finding ways to have fun. With your encouragement, the freedom to do nothing opens up countless possibilities to do anything. Moms and dads needn't be constant entertainment directors in the summer. It may be more helpful to express confidence in your youngster's ability to be creative and inventive — and then let him. So go ahead and schedule some activities, then get out of the way and let your youngster do what comes naturally. 21. There is nothing more stressful to a youngster with Aspergers than not knowing what is going to happen. For example, if you're at a beach, maybe schedule swimming time in the morning, a walk on the boardwalk at lunch, time to see nearby attractions or play on any available playgrounds in the afternoon… try to have the day loosely planned out a day ahead of time or at least in the morning of that day so your youngster knows what to expect. Most individuals enjoy the feeling of unstructured free time, but Aspergers children are so worried about what might happen next, and how they will cope with it, that they need to have an idea of what is happening. The schedule can be modified to some degree if you need to, but giving your youngster some advance notice of this (or planning a favored activity for after the change of plans) will have the best results. Be aware that individuals will always talk, and most individuals don't know what they're talking about. 22. Think very carefully about where you want to go. You want a place that will be Aspergers friendly. 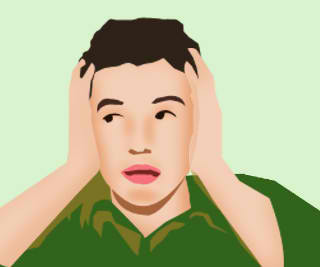 For many individuals, this means a place that is not too loud or does not offend other sensory quirks of your youngster. For example, if your kid has tactile issues with sand, you might not want to go to the beach. If they're scared of large animals, you don't want to go to the circus, for example. Choose a place that matches your youngster's interests and ability levels. 23. Use community resources. Take advantage of the summer recreational and educational opportunities that most towns offer. Find a youth sports league, or sign up for day camp. Many local recreation centers offer swimming, gymnastics, even computer classes. Encourage your artistic youngster to join a kid's theater group or sign up for community art or jewelry-making courses. In addition, visit local zoos and museums, and find out where and when summer festivals are scheduled in your area. Don't forget to add selected activities to your calendar. When you plan ahead and write it down, you're more likely to do it. 24. Whatever keeps your Aspergers kid happy at home will probably work when he is away from home. If hand-held games are acceptable distractions, then by all means take them with you. 25. You want to make sure that you very carefully choose the place that you will be staying. Whether you're staying at a hotel, a camp site, a motel, or renting a house, there are different issues to consider. If your youngster has a lot of food issues and sensitivities, you might want to choose a place where you'll have your own kitchen, so you can make your own food. This could include hotel rooms with a small kitchen area, or a rented house with kitchen facilities. If noise is a factor, you want to make sure you're not in a crowded hotel with thin walls where you can hear your neighbors fighting and the ice machine, or elevator, makes noise all night. On the other hand, if your youngster hates bugs and getting dirty, camping might not be such a good choice. 1. Problem - Books needed for homework are left at school. Solution - If this happens often, it is a sure sign that your youngster is struggling to learn and feels that the homework is too hard. Talk to your youngster's educator and try to set up a system to remind your youngster what books are needed but also tell the educator if your youngster is struggling with homework. 2. Problem - Doing homework takes time, time that you youngster would rather spend doing his fun thing. Solution - Set a limit to the time your youngster spends doing homework and stick to it. If your youngster knows he can stop working at a certain time he will be more motivated to do the work. 3. Problem - Homework is 'boring'. Solution - This is a difficult one, because homework often is boring. Again, setting time limits AND talking to your youngster's educator about the issue may help. Kids use the word 'boring' to cover a variety of situations. You might need to check out why your youngster thinks homework is boring. 4. Problem - Homework is left to the last minute. Solution - Help your youngster keep a homework agenda complete with dates for when work has to be handed in. Mark dates on a calendar and work backwards to decide when your youngster should to start work. Then let your youngster be responsible for getting the work done on time. Don't let your youngster let his problem (no time left to complete homework) become your problem. 5. Problem - The homework is too hard and your youngster does not know how to do it. Solution - Tell your youngster's educator that your youngster couldn't do it so that the educator can review the work. 1. Add variety to the daily routine of your kids. You can alternate their study sessions with an outdoor activity which they particularly enjoy. This balanced daily routine can help you sustain their energy and interest in their homework or assignments. Make sure to manage your time properly so that you are able to join them in their outdoor activities. 2. Ask your youngster’s teacher for suggestions. After spending the majority of the day with your youngster, she might be able to offer some valuable insight. Moms and dads, kids, and educators all working together can change the horror of homework into somewhat of a pleasant experience. 3. Be firm and consistent when it is time to begin homework. It might take a couple of days to fall into a routine. Part of that routine is creating a designated area for homework. Usually the best place is somewhere removed from the noise of the house. If non-school age siblings are playing and having fun while another youngster is trying to complete an assignment, it makes concentrating difficult. 4. Consult your children when deciding the best home for your family. Perhaps, you may allow them to make their best pick when it comes to the study room and play room. 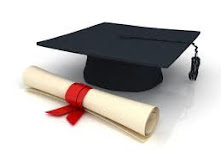 In this way, you are making sure that there is a part of your home that your kids can consider their own and where they can enjoy studying their lessons. 5. Create a reward system for homework assignments. You can reward your youngster with one hour of TV time or PSP game time after homework is done. Food is not good compensation; the association of food with reward will create a bad health habit. Avoid giving chocolate chip cookies and other sweets in particular, but generally avoid food as rewards. You can up the fun by giving bigger rewards to higher achievements. You can offer a trip to your youngster's favorite park or take the family on a mini-excursion if an "A" is on the homework result. The best reward is sometimes not games, or toys; sincere warm hugs are oftentimes the perfect incentive for a studious youngster. Be careful not to use praise too often; this will teach kids to seek outside approval. A youngster who is able to feel internal satisfaction for a job well done will be better equipped to ward off peer pressure during the teen years. Thus, it is better to ask kids how they feel about doing a good job (helps to internalize it). 6. Do not go into arguments with your children. It is essential that you develop a positive relationship with your kids while guiding them to establish healthy learning habits. Be a good listener and give your children some leeway in making their own choices. Remember that your role is to guide them as they try to develop their own learning habits. 7. Eradicate distractions. You can help your youngster focus by making the homework the most enjoyable activity available for that moment; hide things that compete with the attention of your kid. Cell phones, television, computer, PSPs and MP3 players must be turned off. Let them appreciate these items as luxuries and not daily privileges. 8. Explore the possibility of giving exercises and simulated tests first. Once your kid is able to learn the concepts, do away with the busywork and cut down on the monotony of the study session. 9. Give him a snack to munch on - or some gum to chew - while doing homework. Also, allow him to take a few breaks (not too many). 10. 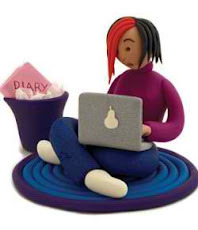 If your youngster is averse to writing then you may start out by being their dedicated scribe. You may also have them play with their nimble hands by using your PC desktop in your writing sessions. You have to understand that reading and writing activities are done in school because these are basic components of the curriculum. However, you have opportunity to tap other learning tools and approaches at home in order to help them understand their lessons from different perspectives. 11. Incorporate music with games and songs. This tactic is effective especially if your youngster is activity-oriented. Math, Science and English are some of the subjects that tend to be monotonous for kids. Jazz up the study scene a little bit with songs and games (e.g., memorize the whole multiplication table to the tune of "Ten little Indians" or play "Bring Me" for things that start with the letter "N"). 12. Inject fun and interesting activities in your study sessions. Avoid those boring reading sessions and try to add activities that are participative in nature. You can use alternative teaching aids such as video, Internet as well as action and board games. 13. Instill reading values. The best way to encourage a homework-friendly life is to instill reading time as part of the family routine. Reading perks up the youngster's interest for information. Reading opens up kid's hunger for learning; homework will not be enough of an outlet to quench this knowledge thirst. Reading will encourage a youngster to fulfill career dreams and is a driving force to make homework fun. 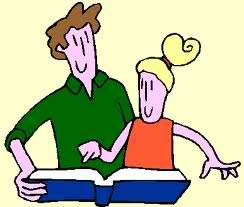 Reading to your kids also helps to improve vocabulary, which will make their homework assignments easier. Mothers/fathers need to communicate openly with kids so they understand the value of the activity first. When kids are treated as being capable and responsible, they will start to do it themselves without nagging (nagging tells them that it is your responsibility and not theirs). 14. Join them in their homework. Surprise them once in a while by joining them at their study table. When they see that you are interested, they will think that it is "cool" for them to be involved with the subject too. In this situation, you will have the opportunity to monitor study habits and any improvements. Don't, however, overdo this practice. It is good to guide them in the areas that are difficult, but when you nag, kids are choked as they try to meet your standards; that's not a fun way to learn. 15. Keep a close eye on the time and check on your youngster periodically. Kids need to know that you trust their capabilities to do their work. Standing over their shoulders only invites insecurities to develop. Backing away and then checking later instills independence in kids. It is important for kids to believe they can do things on their own and still know that someone will be there to answer any questions that come up. 16. Let your youngster burn some pent up energy. It is absolutely draining using your brain as much as kids do in school. On top of learning, sitting still for most of the day can be difficult for some kids. Allow some outdoor fun for a half an hour after snack to let some steam off. Kids will be able to concentrate on their homework and will be less likely to rush through the assignments if they are allowed to see some friends and have some down time first. 17. Make sure that your kids participate in the decision-making. Allow them to decide on the topic that they have to tackle first as well as their preferred place and time for the study session. This means that if your kid wants to study math today, then make sure that you start your study session working on numbers. Children will also have their own preferred time and place to study. Give them this leverage as imposing on them can be counterproductive. 18. Make sure your child has a nice and cozy spot where he can relax. This will help him do his homework better. 19. Usually kids are ready for a break when they get out of school. So much information is crammed into one day which makes homework as appealing as cleaning the kitty litter. The only thing most children want as soon as they get home is a snack. Help your youngster refuel his brain and his body by preparing healthy snacks ahead of time. This way when hunger strikes and being patient is not possible, there will be a fast, easy, and most important, healthy choice to devour. 20. Be patient with your child. Some days will go smoothly when it comes to homework. Other days, it will feel like a war-zone. Maybe he is having a bad day. Tomorrow is a new day that brings another opportunity to teach study skills to your child. I swear I wrote the book on this support group...I am beginning to understand my HFA (undiagnosed)...and how lucky I was to become obsessed with things that can shape my future,, aspies have the most unbelievable insight on subjects..If you can ever get them to become obsessed with things that help there future,,they will excel beyond there peers. I try to use his obsession to get the homework done. Example: I have three dinosaurs and you give me 2, how many do I have now? Of course he is in 1st grade and I'm sure this will not work for long, but it is now! Will my Aspergers child’s symptoms get worse over time? It doesn't actually worsen, but when a child with Aspergers (high functioning autism) reaches puberty, he/she can come under tremendous pressure and stress. So even though there is no actual cure for Aspergers, it can be made less noticeable if the Aspie is taught the correct ways to behave. This can mean going to occupational therapists, speech therapists, or the like. The more positive work you put towards helping your child, the less noticeable his/her Aspergers traits will be. 1. Advocate for your youngster to have the school program that they need. 2. Be patient with your youngster and yourself and prioritize what to focus on first. Just focusing on today builds a better tomorrow. 3. Be prepared with your response to a difficult behavior or cycle that will calm the situation so you can react from your plan and not from your emotions. 4. Determine what a tolerable social and physical environment is for the youngster and provide it. 5. Don’t forget to nurture your spiritual side. 6. Educate yourself about Aspergers. 7. Learn how and when to talk to others for help, both professionals and other moms and dads or friends. 8. Learn what your youngster needs—become an expert of your youngster. 9. Model and teach your youngster how to do tasks or how to understand social and physical cues in the home environment. 10. Moms and dads must remember to nurture themselves and seek a balance between helping their Aspergers youngster and remembering the needs of the rest of the family. 11. Provide and teach the youngster to use visual organizational supports for all weak areas. 12. Provide direct instruction for all areas of need, especially social behavior and communication skills. 13. Provide your youngster with more support (often visual charts, photos, examples) to help the youngster learn to do organizational tasks (e.g., clean room, pack backpack, get ready to leave the house). 14. Pull together a team of professional supports (therapist, psychopharmacologist, OT, S&L, sensory specialist or others) as needed. 15. Remember that the key is pacing yourself, prioritizing the most penalizing behaviors currently impacting your youngster, and starting with them. Over time and with the right team, the initial concerns will become less, and your attention can shift to other areas to capitalize on or to minimize. 16. Set up structures and supports so home can be predictable and comfortable. Then teach a procedure for tolerating a change in the day. 17. 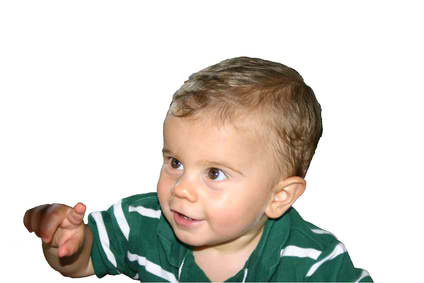 Talk less, slower, calmer and in clear language that the youngster can understand. 18. Teach emotional regulation with visual systems and feedback to the youngster and provide breaks from social situations as needed. 19. Teach new concepts by using their special interests. 20. Teach the youngster to know what they need and the language to ask for it. 21. Teach them to understand themselves and appreciate who they are. 22. 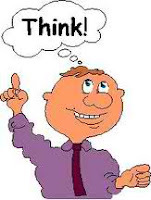 Use “thinking out loud” as your method of teaching your youngster to problem solve. 23. Use kindness and humor for mistakes and enjoy the youngster’s strengths. 24. Use routines, minimize change and prepare for all types of transitions. 25. Use visuals to teach the youngster a problem-solving method for when they are stuck. 2. A therapist with an awareness of Aspergers or interest in learning about it with you is essential. 3. A variety of therapies can be helpful to grown-ups with Aspergers, depending on the person. 4. Advocate for environmental changes at work or home; if you are more comfortable, the people around you will be as well. 5. Attend a group where social skills are explicitly taught (often by a speech language pathologist). 6. Build on your strengths. 7. Contact the vocational rehabilitation agency in your state; with an official diagnosis of Aspergers, you are entitled to service. 8. Decrease “isolation-time” (i.e., do not stay home - all day - by yourself everyday). 9. Disclose strategically – only share the information that is required for that time and place. Consult with a trusted person to determine what to disclose if unsure. 10. Downtime is required. Sensory and social demands of daily life make more downtime essential for grown-ups with Aspergers. Communicate with those around you about your need for this, but do not use it as an excuse to avoid participation in family or other activities. 11. Educating others in your family, workplaces and communities about Aspergers. 12. Heightened sensory sensitivities may make particular environments unpleasant or intolerable. Thus, change lighting, decrease noise, wear comfortable clothing, etc. 13. Hire people to do the things you’re not good at (e.g., money management, housework, organization and bookkeeping). 14. 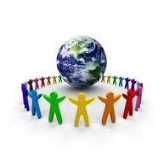 Join a group where you can meet other adults with Aspergers. 15. Know that a slower-paced environment will likely be more tolerable and allow for a greater sense of comfort and competence. 16. Know what Aspergers is in general and how it affects you specifically. 20. Medication can be helpful in decreasing symptoms of depression and anxiety that often accompany Aspergers. 21. People with Aspergers tend to connect most comfortably around shared interests. 22. Physical and emotional comfort is essential to adults with Aspergers. 23. Psychodynamic psychotherapy is generally less helpful. 24. 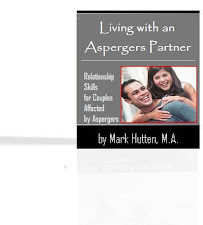 Read about Aspergers from a variety of perspectives. 25. Stop the blame. Blaming yourself or others is common and not helpful. 26. Strategic disclosure can provide relief for an adult with Aspergers and promote greater understanding. 27. Strengthen your areas of difficulty or minimize their presence. 28. Treat yourself like you would a trusted/valued friend! 29. Utilize career one-stop centers (i.e., federally funded centers designed to help people learn new, marketable skills, identify jobs and prepare for interviewing). 30. Work with a Life Coach. He or she will work with you on multiple levels (e.g., concrete skills-building and goal direction, independent living skills, employment related skills, social skills, understanding your traits and symptoms, etc.). Intestinal dysbiosis is common to many kids with an Autism Spectrum Disorder. Living in our intestinal tract are trillions of cells of microbial organisms such as bacteria, yeast and viruses (called "flora"). There are friendly flora that are an asset to gut function and there are unfriendly flora that are harmful to the gut. Under normal conditions all these organisms live in competitive balance and synergy. Problems occur when something happens to upset the normal balance between friendly and unfriendly flora (e.g., antibiotics). Antibiotics kill friendly bacteria in the gut but do not kill “unfriendly” bacteria such as yeast. With the friendly bacteria compromised, the yeast flourishes. Thus we have dysbiosis. Dysbiosis leads to leaky gut wherein undigested food, toxins, microbes and all kinds of things we really don't care to know about are leaked into the blood stream. Leaky gut is involved in numerous health conditions. We are most interested in food allergies, common to kids on the autism spectrum. History and symptoms questionnaires give good clues into the possible presence of dysbiosis. The following is a yeast questionnaire. Complete the questionnaire. The scoring is at the end. 7. During infancy, was your youngster bothered by colic and irritability lasting over three months? If "yes" circle mild 10 or severe 20. 15. Has your youngster been labeled hyperactive? If "yes" circle mild 10, moderate 20 or severe 30. 21. Was your youngster bothered by frequent diaper rashes in infancy? If "yes", circle Mild 10 or severe 20. 22. Was your youngster bothered by thrush? If "yes" circle mild 10 or severe 20. Aspergers (high functioning autism) is a developmental disorder, which was first described around 1940, about three years after the introduction of the first main commercial antibiotics (i.e., sulfa drugs). As antibiotic usage grows, so do rates of Autism Spectrum Disorders. Aspergers is really a disorder of the antibiotic era. Why? Simply because antibiotics help the yeast Candida albicans grow within the intestinal tract. Candida albicans makes toxic chemicals, which hurt the developing brain. The yeast Candida albicans can be discovered inside of our intestinal tract, mouth and in the female genital tract. Occasionally this yeast overgrows and the doctor recognizes this overgrowth of yeast as a yeast infection of the female genital tract or in the mouth, where this infection is commonly known as thrush. Bacteria are also resident inside the intestinal tract, sharing space with the yeast. Antibiotics kill bacteria, not yeast. After the use of antibiotics, the yeast grows to fill in the space left by the removal of the bacteria. Yeast makes chemicals which kill bacteria, which enables the yeast to grow at a greater level, even after the antibiotics have been stopped. Yeast makes numerous chemical compounds which are then picked up and absorbed into the body. These compounds are quite toxic to the nervous system. These compounds include toxic alcohols and acetone, as well as the powerful nervous system poison hydrogen sulfide. Alcohols depress and slow the nervous system and acetone causes coma. These chemicals slow the brain down to ensure that the brain no longer works properly. These chemicals ought to be cleared by the liver so that these chemicals by no means reach the brain. Nevertheless in some individuals, these chemicals are apparently not cleared, reach the brain, and cause mental symptoms. Slowing of the brain, especially in speech areas has been found in brains of Aspergers kids. Alcohols are well known to disrupt brain development. There are also chemicals in the diet which slow the brain down. Barley malt, the raw material for generating beer, contains twenty chemicals which slow the brain down. Vinegar also contains such chemicals. The mixture of chemicals from internal yeast and from food could partially account for the finding of the brain slowing in Aspergers kids. The essential reason to take a look at yeast as a main contributor to Aspergers causation is that yeast is effortlessly and safely treatable. The method to reverse this yeast problem would be to take the anti-yeast drug nystatin. This drug is not absorbed and kills the yeast living in the intestinal tract. Then the yeast can no longer make the toxic chemical compounds. Second, the diet contains numerous foods which include yeast compounds. Some of these yeast chemicals are toxic to bacteria and will clear space for the yeast to grow once more. If these yeast chemicals are left within the diet plan, nystatin will not do a lot simply because the yeast keeps growing back. To treat yeast, these foods should be removed from the diet. Removal of these dietary yeast goods enables nystatin to kill the yeast without the yeast growing back. Malt contains chains of sugar molecules, which most likely inhibit the body's immune method. This inhibition makes it tough for the immune system to fight Candida. Malt must be removed to clear Candida. Fortunately, simply because nystatin isn't absorbed, nystatin causes no side effects except for a bit of nausea. Consequently there is no risk to this therapy. The diet plan for Candida issues consists of removing fermented foods from the diet plan. The worst offenders are alcoholic beverages and non-alcoholic beer, vinegar, barley malt, chocolate, pickles, soy sauce and aged cheese. Nearly every youngster who has followed this anti-yeast therapy has improved. Kids who can speak usually speak better and more often. Kids under 2½ who can talk a little can be brought back to regular or near normal. Behavior and sleep all enhance. Kids are calmer and easier to teach. Where does the gluten free casein free diet fit in? This diet comes from research on schizophrenia, in which these gluten and casein protein fragments were found within the urine of schizophrenic patients. Similar urine profiles had been later found within the urine of Aspergers kids. The role of opioids in Aspergers is as follows. Milk and dairy include a protein known as casein and wheat contains a protein called gluten. Inside of both casein and gluten are structures that are tough for the body to digest totally. The structures or peptides remaining following digestion of casein and gluten react at particular sites in the brain called opioid receptors. These sites are so named simply because these sites are where opiate drugs such as morphine act. The internal chemicals which react at the opioid receptors within the brain are called endorphins. These peptide structures from the diet plan have several names, one of which is "opioids". In experimental studies, opiate drugs like morphine have been found to bind to brain opioid receptors and this binding leads to decreased glucose (sugar) utilization and decreased metabolic rate. In other words structures which bind to opioid receptors in the brain slow the brain down. As already noted, the one discovery that stands up in the brains of Aspergers kids is that the brain is slowed down (metabolically less active) as shown by decreased blood flow, especially in speech areas. Presumably these casein and gluten protein fragments also slow the brain down. This has led to the treatment of excluding casein and gluten from the diet of Aspergers kids. You will find many commercial goods available to support such treatment. How good is the gluten free casein free diet plan? The main studies show that kids do much better in school. Some kids improve, some only modestly and some barely at all. Why? The gluten free casein totally free diet plan is not an anti yeast diet plan. The gluten free casein totally free diet plan permits some main yeast offenders such as vinegar, pickles, chocolate, peanut butter and corn. Both peanuts and corn are frequently contaminated with mold. Chicken are fed much cottonseed and cottonseed is contaminated with mold. So if a youngster is taken off gluten and casein, but is continued on vinegar and is put on more chicken, peanut butter and corn, what will occur? Whatever benefits there are from removing gluten and casein will be taken away by adding to the diet more mold within the type of chicken, peanut butter and corn. The intestinal yeast will still be there making toxic chemicals. The youngster will show only minimal improvement and the improvement and behavior will fluctuate, based on what the youngster has eaten. This gluten free/casein free diet is frequently recommended today as the main factor to help Aspergers kids. However, be sure implement the gluten free/casein free diet AFTER the anti-yeast diet has begun. The gluten free/casein diet plan allows eating of vinegar, pickles, along with other foods containing toxic yeast chemicals that are quite toxic to the brains of Aspergers kids. Except for elimination of malt, there is no overlap between foods eliminated on a gluten free/casein free diet plan and foods eliminated on Stage 1 of the anti-yeast diet. Malt (which is actually a specially sprouted barley product) should be eliminated on a gluten free/casein free diet plan and malt will be the number 1 item to eliminate on an anti-yeast diet. Nevertheless, too many other foods containing toxic chemicals could be left in on a gluten free/casein free diet plan, to make use of this diet plan as the only therapy. What about high doses of vitamins and minerals? Vitamin B-6 neutralizes among the yeast chemicals and this yeast chemical takes the location of magnesium at important locations in the body. The neutralization of this chemical might explain why vitamin B-6 and magnesium are occasionally helpful. However, it's much better to clear out the yeast, so that the chemical is no longer created rather than to try to neutralize it. There are many other yeast chemicals which are not affected by vitamin B-6 and magnesium. Moms and dads who continue the high doses of vitamins and minerals and then attempt to add nystatin often discover that nystatin isn't useful. Among the vitamins, perhaps vitamin B-6, binds to nystatin, making it ineffective. Moms and dads should not make use of the high doses of vitamins and minerals while giving nystatin. Acidophilus is not recommended because it helps yeast grow. Acidophilus may seem to assist because it clears out another poor microorganism, Clostridia, but acidophilus does nothing for yeast. Acidophilus makes an anti-bacterial chemical. Acidophilus ought to only be utilized short-term, not long-term. Some people for their Aspergers kids attempt the specific carbohydrate diet plan. This diet plan is used for individuals with major allergic reactions. This diet is not an anti-yeast diet. This diet consists of simple food molecules which the yeast Candida can effortlessly use to grow. For fighting yeast, the specific carbohydrate diet has no location and might make the yeast and the Aspergers worse. Why can the body's immune system not clear Candida? The Candida has many tricks to evade the body's immune method. The immune method then calls within the reinforcements. These immune cells attack the yeast and create the signals for inflammation. Inflammation is really a defense, like a wall to keep out the Candida. The Candida is still there, which indicates the inflammation remains. Within the intestine, this continued inflammation leads to Crohn's disease and ulcerative colitis. Occasionally these immune cells circulate and discover yeast cells in other locations. There is yeast on the skin. Again the yeast is evasive and also the immune cells generate the signals for inflammation. The yeast is not cleared and also the inflammation remains. This leads to skin issues from itching and eczema to psoriasis. The Candida has also evolved to look like our own cells. Candida has the body's own connective tissue receptor on it, which it uses to anchor itself into our tissues. Sometimes the immune cells, as they attack the yeast, attack anything which looks like the yeast. What else looks like the yeast? Body cells which have the connective tissue receptor. This attacking of body cells leads to "autoimmune diseases" such as numerous sclerosis and rheumatoid arthritis. In these diseases, the body's immune method appears to be attacking the body's own tissues. The immune cells are attacking the yeast and then attacking anything which looks like the yeast. The yeast chemicals slow the brain down. The gut has its own brain to make certain all of the food goes through the intestinal tract at the right rate. What will happen if yeast chemicals put the gut's brain to sleep? The result will be constipation, sometimes very severe. Diarrhea is the body's attempt to clear the yeast. The diarrhea could be present at the exact same time as the constipation, which is why they are able to alternate. What occurs if the yeast chemicals slow down the body's nerves and put them to sleep? Then the youngster can't really feel anything or absolutely nothing feels correct. The hardest parts of the nerves to numb up are the parts which carry discomfort. This is why light touch, rather of feeling pleasant, now feels painful. If the nerves are numb, occasionally pain feels better than absolutely nothing at all. This is why these kids bang their heads. Even the discomfort feels better than numbness. The lack of correct sensation in the mouth is a reason why these kids can become picky eaters. Foods, especially new ones don't feel correct to them. The picky consuming improves with anti-yeast treatment. Why do Aspergers kids have such trouble sleeping? There are numerous chemicals which put their brains to sleep. But the brain doesn't wish to go to sleep from these chemicals. How does the brain fight these chemicals? The brain stays awake. When the chemicals are removed, kids sleep much better. These chemicals also cause headaches and abdominal pain. Melatonin is really a natural hormone made within the brain when it's dark. Melatonin is really a signal for individuals to go to sleep. For unknown reasons, Aspergers kids don't appear to make enough melatonin or maybe they make enough, but do not respond to it, so they stay awake for lengthy periods of time when others could be asleep. Giving melatonin at night is helpful in promoting sleep. Make sure to obtain a brand that contains only melatonin, and isn't mixed with vitamins or other substances. Some brands may also contain other allergens, like wheat or dairy or casein. Search for melatonin mixed in powdered rice. Begin with 1/2 capsule (about 1.five mg.) mixed in a little quantity of food, given at bedtime, preferably when it's already dark. Melatonin isn't a sleeping pill and does not act like one. You'll not see the child drop off suddenly to sleep. Rather, it promotes natural sleep. It's better to steer clear of giving antibiotics to kids who have yeast problems because the antibiotics help yeast grow. However, in case of serious illness, you need to be guided by your physician. How does one avoid giving antibiotics to kids? Kids who're treated for yeast usually have fewer infections, and those that they've are much less severe. Why? Back within the days before high tech, researchers asked a lot simpler questions. They asked whether Candida and tuberculosis like one another. Do they grow better together? The answer is yes. Candida's capsule assists tuberculosis to grow. This kind of experiment has been carried out with other infectious microorganisms and yeast assists other poor microorganisms to grow. Candida helps the microorganisms at the back of the mouth to grow and to grow back after antibiotics. The Candida helping the bad microorganisms is why kids get ear infection after ear infection. An Individualized Education Plan (IEP) is usually developed for kids who qualify for special education under federal law. If your youngster has an IEP and is following a specialized diet, the IEP should contain information that makes the entire school aware of the dietary restrictions. In the IEP, designate in the appropriate place that your youngster is on a special diet for his condition that necessitates the IEP. [Child] is on a special diet to treat his/her__________. [Child] may only eat foods that are sent from home. If other foods are available in school as treats or snacks, [Child] may eat the following: [list all of the foods your youngster can eat]. Staff may not supplement [Child's] diet in any way, as treats, incentives or for any other reasons, without first obtaining parental consent, unless the food is listed above. Staff shall inform parent as much as possible about upcoming parties, treats, school projects, etc., involving food, so parent can send in appropriate treats for [Child]. [Child] may not share or trade food. 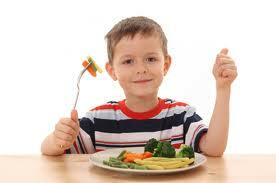 Staff must supervise [Child] during snack and meals to ensure that he/she eats safely. Any deviation from [Child's] diet will likely result in severe behavioral symptoms, which may include: kicking, hitting, biting, head banging, pinching, scratching, grabbing, stomach pain, head pain, lack of cooperation, hyperactivity, lack of concentration [list any other that you have experienced]. Staff shall be trained and made aware of the dietary restrictions and the [Child's] diet. If [Child] eats something that he/she is not supposed to eat, which results in one or more of the behavioral problems listed above, the school will not suspend or expel him/her, because such behavioral problems are a direct manifestation of [Child's] condition of _______________. Does your baby have Aspergers? Early detection of Aspergers is difficult because kids who have this disorder are high-functioning. • Aspergers kids often do not wave “hi” or “bye” when expected and do not use a pointing gesture to share items of interest. • Language is often interpreted extremely literally (e.g., one 4-year-old boy would get upset when his mother said that she was going to “fix dinner” because the dinner was not broken). • Many moms and dads also report extreme “stranger anxiety,” where their babies would fuss or become highly anxious whenever anyone other than mom and dad were around. • Many moms and dads of kids with Aspergers report that their newborns were excessively fussy or “colicky.” The babies were difficult to comfort and were often soothed by unique means (e.g., listening to the dishwasher, being held high in the air, laying on a running washer or dryer). • The infants often show more interest in objects than people. • They are often able to memorize phrases or chunks of dialogue which they use in their everyday speech (e.g., one 34-month-old would say, “Junky, that’s a big one” whenever he saw an animal of any size). • Use of gestures is often either absent or exaggerated. 1. Choose a time when the baby is alert and calm. A tired, cranky infant may not yield accurate results in this test. Hold the infant at the waist in the upright position over a bed, couch or other soft surface. 2. Slowly tilt the infant to the left. Stop when the baby is at a 45 degree angle. Repeat this test by slowly leaning the infant to the right until the infant is at a 45 degree angle. 3. Note whether the infant tries to keep his head upright or if he keeps it aligned with the rest of his body. A baby with Aspergers will try to keep his head aligned with his body. A typical infant will try to keep his head in the upright position. 4. Repeat steps 2, 3 and 4. Repeating the test will ensure that the results are accurate. The second trial could be conducted by another adult. 5. Check for other signs. Does the child respond to his name? Does she smile at others? Does he make sounds or babble? A "no" to these questions is a red flag. 6. Follow through with a visit to the doctor. Any hint that your baby has Aspergers deserves an examination. The doctor can offer formal screening tools if it is deemed necessary. Kids with Aspergers seem to evoke either the maternal or the predatory instinct in others. Aspies often lack subtlety in retaliating. Other kids may wait for an appropriate moment to respond without being caught. The youngster with Aspergers can also lack sufficient empathy and self-control to moderate the degree of injury inflicted on others. 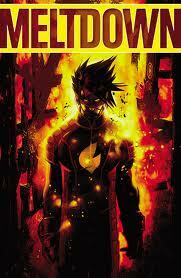 The Aspie is in a blind fury that gets him into trouble. The teacher sees the Aspergers youngster being aggressive and may not be aware of the taunts by his peers that precipitated the anger. 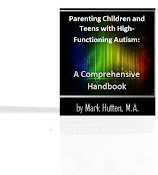 Parents often assume that their teenager with Asperger's (AS) or High-Functioning Autism (HFA) tries alcohol and/or drugs to rebel or to "fit in" with his peer group. However, teens with undiagnosed depression often use drugs and alcohol as a way to relieve their frustrations. A depressed teen on the autism spectrum may self-medicate with alcohol to escape the terrible sense of hopelessness. Unfortunately, alcohol only exacerbates the problem. Some drugs may even make him feel "normal," when for weeks he has felt miserable. The impact of such drugs on serotonin, dopamine and endorphins (i.e., chemicals in the brain that regulate mood) can be devastating for these teenagers. The damage they do to receptors in the brain can make the road back from depression even harder. Often parents approach the issue of drug and alcohol use as simply a discipline issue for a teen who is "bad." However, your "special needs" teen may be sick. He may be unable to express to you exactly how he feels. If your adolescent is self-medicating to treat depression, anxiety, or other emotional or behavioral disorders, simply applying more discipline and creating more rules will not impact the underlying problem that led to substance abuse in the first place. While some teens on the spectrum self-medicate to treat depression, others end up with a serious mental disorder due to abuse of drugs or alcohol. Abusive drinking or drug use can seriously undermine your teen's physical, emotional, and psychological health. Some drugs, such as methamphetamines, can seriously affect the neurotransmitters, which are known as the "messengers of the brain." Recent studies suggest this damage can be long-lasting and even permanent. Many AS and HFA teens have the mistaken notion that club drugs are benign. In fact, while they might feel "good" while taking them, they can make it difficult for the teenager to feel good naturally for a long time to come. The longer teens use these drugs, the more difficult treatment and the higher rate of relapse due to their inability to "feel good" or even "normal" because of the damage to their neurotransmitters. 1. Does your teen have little interest in his future? 2. Does your teen drink alcohol? 3. Does your teen smoke cigarettes? 4. Does your teen use drugs? 5. Has your teen quit activities he used to enjoy? 6. Does your teen seem to cry easily? 7. Does your teen seem like he is filled with guilt and remorse? 8. Has your teen been denying food saying he is not hungry? 9. Has your teen been easily agitated? 10. Has your teen been having a difficult time making decisions? 11. Has your teen seemed to have lost his energy? 12. Has your teen withdrawn from you or other family members? 13. Has your teen had recurrent thoughts of death or suicide? 14. Has your teen been falling asleep in class? 15. Has your teen felt hopeless? 16. Has your teen had problems sleeping at night? 17. Has your teen not been focused on what is going on in front of him, and is he often lost in his own thoughts? 18. Has your teen had a dramatic change in personality such as extreme irritability or sadness? 19. Has your teen had a hard time focusing on homework or reading? 20. Has your teen had an overwhelming feeling of sadness for no known reason? 21. Has your teen often feel fatigued, even when he has gotten enough rest? 22. Has your teen spent too much time in his room alone? 23. Has your teen withdrawn from his friends? 24. Has your teenager been over-eating? 25. Have you heard your teen put himself down, making derogatory comments and being overly critical? If you answered yes to 5 or more of these, then your teen is likely suffering with depression. AS and HFA teenagers have a difficult time relating their true feelings to others. The world is quite different today, and these young people face so many obstacles. If your teenager becomes withdrawn and disinterested, it is critical that you intervene in an attempt to see what the trouble may be. Many times a teen will open up to a close friend or family member that they are able to trust. Once a teen gains a comfort level, they will pretty much open up about anything. Recognizing teen depression can be difficult at times, but it is important to intervene in an attempt to save a life. Teen suicide among teens wth an autism spectrum disorder is nothing new. Sometimes just talking things out will help the teenager immensely. However, sometimes it may take more than just a one on one conversation. In severe cases, the teen may benefit from psychological counseling with a professional.